Have you ever heard the old saying, “Girls play with dolls and boys play with action figures”? French figurines they saw in a military shop dressed in Napoleonic clothing combined with the mannequin-like ability to pose. The original G.I.Joe was patterned after a World War 2 soldier, and the company also made accessories such as military gear and other uniforms that were sold separately. G.I. Joe made his first appearance at a toy fair in February of 1964 to the delight of young boys everywhere….especially with the name “action figure”. 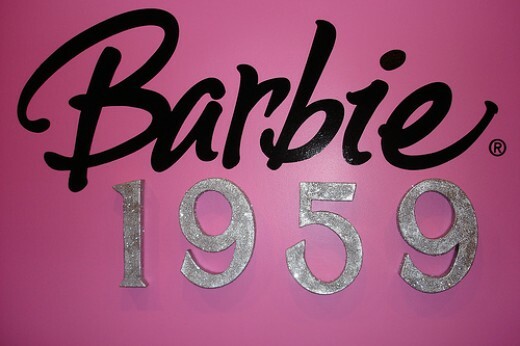 Licensing was given to other markets around the world as early as 1966. 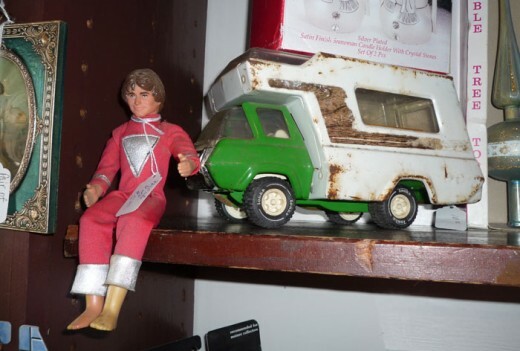 The first was Palitoy, a company based in the United Kingdom in which the figure was given the name Action Man. Licensing then went to other markets such as Germany, Australia, Japan, and Brazil, all of whom gave their own monikers to the rugged soldier. There were a few variations that attempted to keep up with the times…in 1965, an African American G.I.Joe was introduced. The next year saw the familiar soldier in a Green Beret uniform during the Viet Nam era. 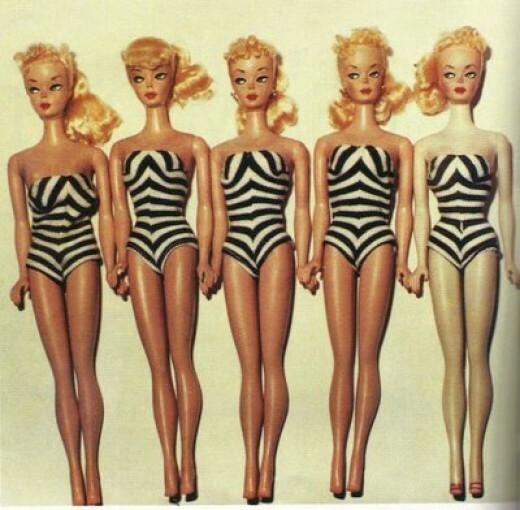 A failed attempt at a female action figure in 1967, (Action Nurse) kept any female version of G.I.Joe out of the market for the next three decades. G.I.Joe may have been the first..but he would not be the last. Even while still licensed under Hasbro, the Japanese toy company Takara created a cyborg figure that was based on the torso design for the original Hasbro idea, only with clear, robotic parts. As with all toy companies, the oil crisis of the 1970′s had hindered manufacturing the larger figures, and Takara found it prudent to shrink the size of theirs to a mere 3 3/4 inches. The mini cyborg action figure was introduced in 1974 as Micro Man. 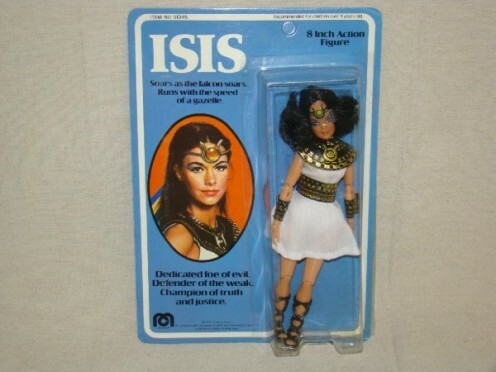 Other action figures were abounding in the States as well. Comic books, especially Marvel and DC comics had been fan favorites for many years. The Mego corporation began licensing action figures for these comic book characters, such as Batman and Robin, Spiderman, and others in 1974. Bringing Micro Man over from Takara and manufacturing them as the Micronauts was very successful. However, Mego (for whatever unknown reason) did not pick up the Star Wars action figure line when they had the chance. 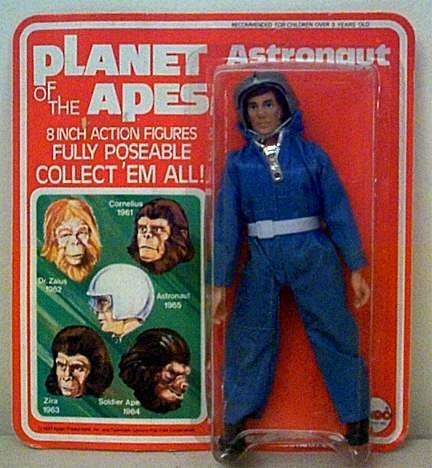 Kenner profited handsomely from Mego’s mistake, and in 1976 began producing the now standard 3 3/4 inch action figures for the characters in the megahit “Star Wars”. 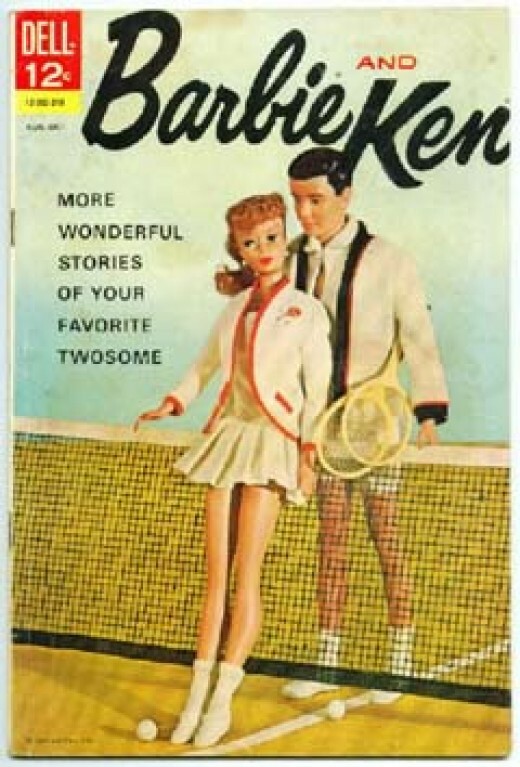 The figures are considered collectibles today. The popularity trend for these action figures became even more so as the many action packed Saturday morning cartoons began to flood the television screen. Kids were begging for Mattel’s He Man and Masters of the Universe. Kenner’s innovative Super Powers collection allowed the figures to exhibit a special “power” or action when squeezed. Takara’s Microman came back in the form of Micro robots. Micro Change toys came next, which were ordinary objects, whose parts could be pulled out and become robotic figures. This led to Hasbro licensing the Micro Change line and merging it with another Japanese line of toys that had cars which transformed into action figures. The popular Transformers were born and released in 1984. By the 1990′s it was becoming very clear that the market was not just for kids anymore. The increasing value of vintage action figures had adults poring over toy magazines, keeping up with the latest action figures that would one day become collectible. Teenage Mutant Ninja Turtles hit the scene strong, along with Toxic Crusaders and the X-men. Many of these figures now had several accessories and features that made them stand out, such as light sabers and glow in the dark weapons. 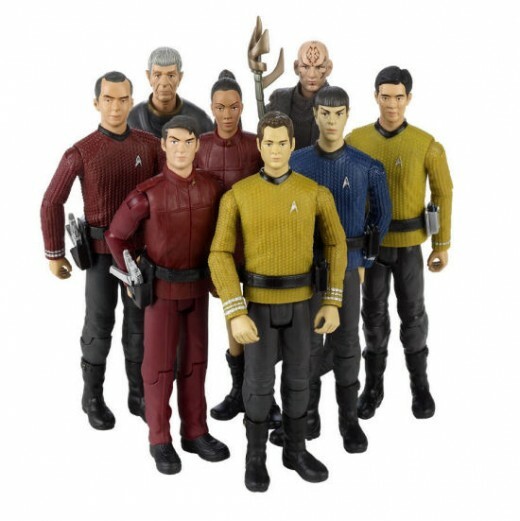 The millennium has seen no end to the demand and manufacture for these action figures. Many toy companies now create these to be collectibles…even doing such things as errors in packaging on purpose to make a particular one more rare. Action and comic book characters are not the only ones immortalized as these figures..many sports figures and other celebrities have jumped on the bandwagon too. 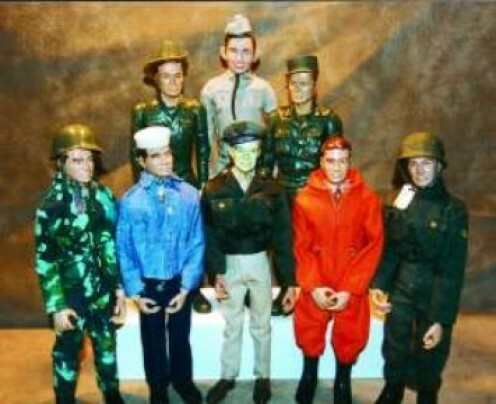 Even after 46 years, G.I.Joe is still as popular as he ever was..and in many different representations now. Many are mounted on a stand for display as opposed to being made strictly as a toy. The materials for action figures include aluminum wiring, clay, and plastic. The hard plastic is used to create the basic mold, while softer plastics are used for the smaller parts. Forming the outline with the wire, the sculptor then takes a few simple tools and shape the basic design for the figure. The clay is baked at different stages of the creation, and special attention is paid to detail in features and design. When the mold is completed it is baked for a final time, and the plastic is then formed around the mold. Any mechanical attributes, such as lights or sounds are placed inside the figure and it is prepared for the final mold. The accessories are then added and the figure is painted. Many action figures, especially in the last fifteen years or so, have had several features added. These features, such as He-Man’s ability to thrust a punch with sound effects and the Transformers ability to change from car into robot. Others continue to gain in popularity, especially with video games becoming more advanced. The Halo video game has a series of action figures that are extremely popular..and a toy company in Japan even made one of President Barack Obama! Packaging for action figures can vary. Window Box Packaging is made of thin cardboard with a small window of plastic to view the action figure. Carded Bubble Packaging came along in the mid-seventies, with the thin cardboard in the back and a bubble of plastic completely encasing the figure. PVC packaging substitutes the thin cardboard for plastic and a bubble encasing the figure and accessories. Tube packaging is a long cylinder tube of PVC plastic which encases the action figure. The hobby of collecting action figures can be a fun and rewarding one. It is something the entire family can do together, and memories can be made from the joy of playing with and collecting these figures. Franchises such as Star Wars and many others will continue producing different variations of the figures we have come to know an love. With movies such as Avatar making huge noises at the box office..it won’t be long before there will be even more action figures to enjoy. Now to impress your friends…here is a bit of a trivia list to have fun with! 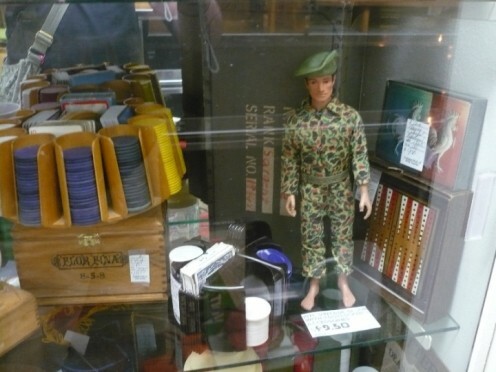 Q: What was the toy company that made ‘Action Man’, the British cousin of G.I.Joe? 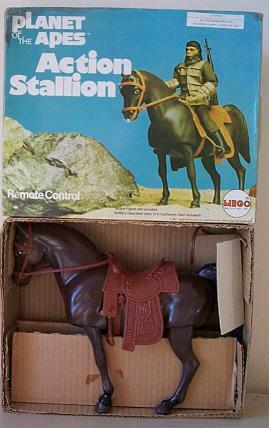 A: Palitoy. This was made identical to G.I Joe but with clothing appropriate to the U.K. military. Q: In what year did the first G.I Joe hit the market in the USA? 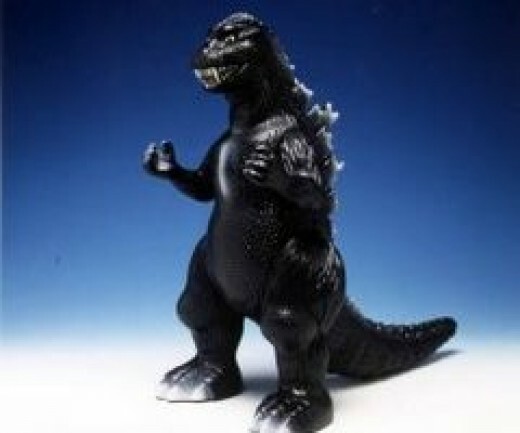 A: At the toy fair in 1964 he made his first appearance which changed the lives of boys forever. Q: Can you name the Villain of Captain Action? A: Dr.Evil same as Austin Powers. Q:The Celebration Luke Skywalker Jedi Knight Theater Edition Action Figure was issued when what movie was released? A: Star Wars Return Of the Jedi Edition. More then 150,000 carded figures were sold to the first people who was there to attend the premier opening of the movie in the USA. Q: In the last eight years what action figure was produced and became one of the most popular figures (with the least amount of screen time) in the movie Trilogy? A: Lak Sivrak. It can only be seen for 3.01201 seconds on the movie screen. 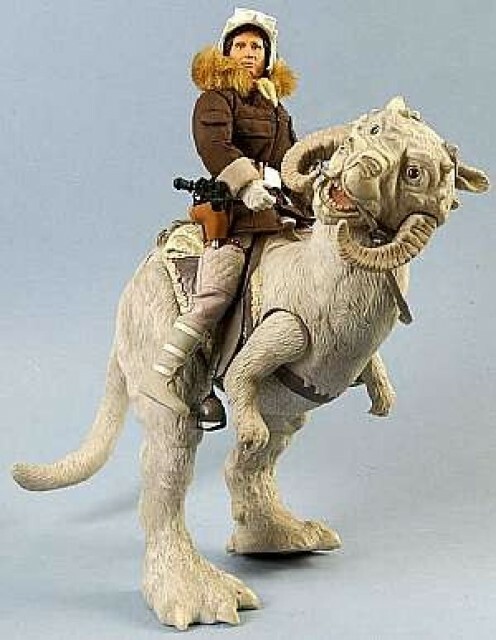 Q: What was The first mail away action figure to be introduced by Hasbro. Inc? A: Kellogg’s Han Solo (disguised as a Storm Trooper).